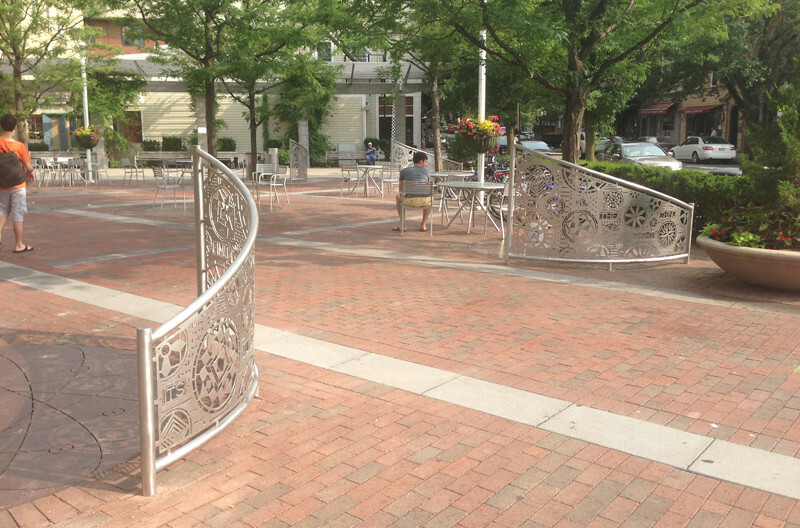 Hinds Plaza - Website of tomnussbaum! 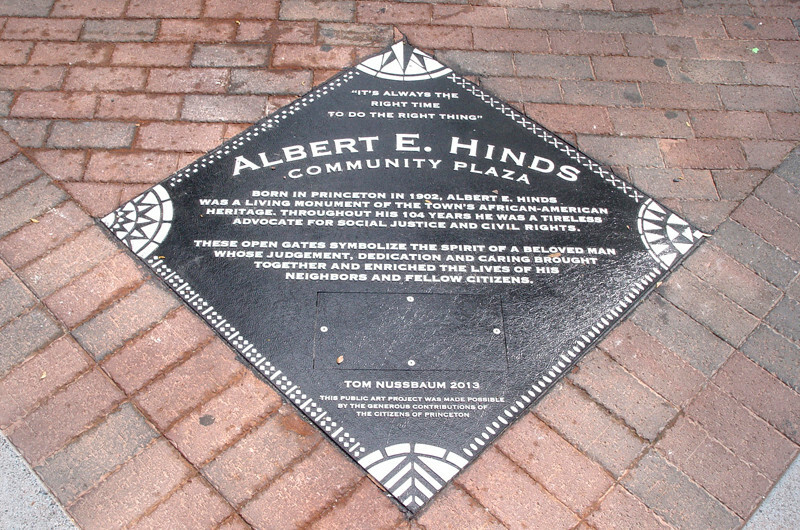 This project honors the memory of Albert Hinds in two sets of stainless steel gateways that feature one of his favorite sayings: “It’s always the right time to do the right thing”. The saying paraphrases Dr. Martin Luther King Jr, and embodies Mr. Hinds’ outlook on life. Surrounding the quotation, patterns from traditional American quilts reflects multi-cultural influences. 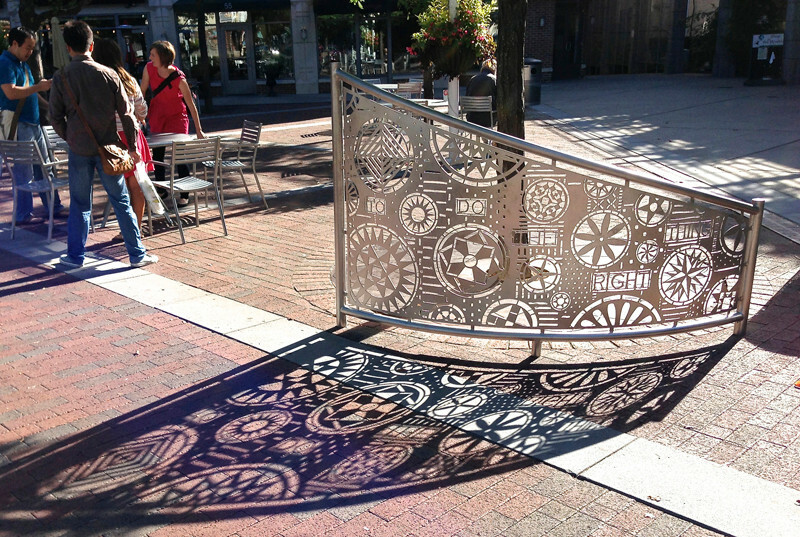 These patterns are combined to symbolize a diverse community coming together, something Mr. Hinds strove to accomplish through his activities in his hometown of Princeton. 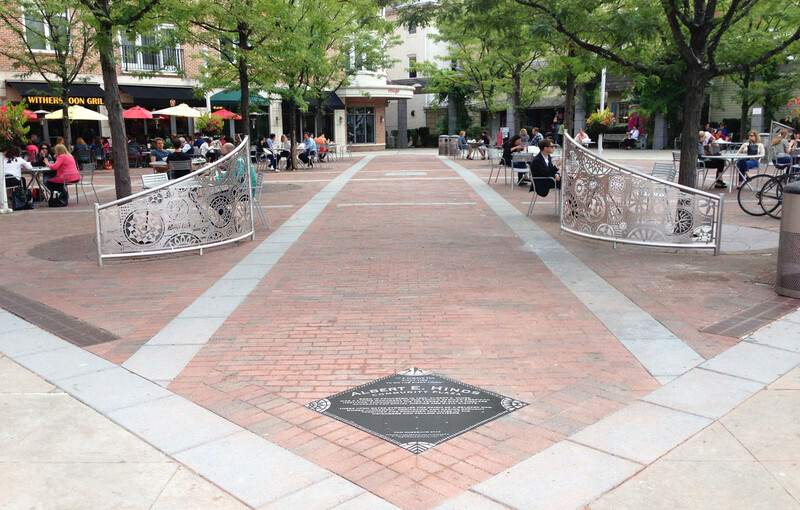 Located at the two main entrances to the plaza, these permanently open gateways and the accompanying plaques, audio guide, and web biography, celebrate the role of Mr. Hinds and the history of the African-American experience in Princeton. All images copyright 1978-2019 Tom Nussbaum and may not be reproduced without permission.